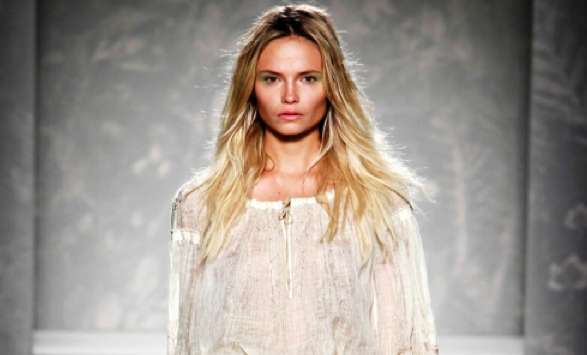 Romantic dresses of light fabrics and lace comprised the Alberta Ferretti Spring/Summer 2011 line. The elegant floral patterns gave the collection an antique appearance, but the gossamer execution made the breezy ensembles look modern and dynamic. Paired with wide-brim hats, gladiator sandals and blushes of deep color, the Alberta Ferretti Spring/Summer 2011 collection is a light and breezy compendium of graceful pieces. Experiencing the line through these photos is enough to make you feel the wind and smell the roses of warmer seasons.